In a study published in the Journal of the American Medical Association, researchers examined outcomes for patients when surgeons were running multiple operating rooms at the same time. The study found the practice is likely safe for many patients but did cite "potential areas for concern." A large study examining patient outcomes for surgeons who run multiple operating rooms at the same time has found that the practice is likely safe for most patients but may put vulnerable patients at an increased risk of harm. The examination published Tuesday in the Journal of the American Medical Association comes amid a national discussion in the world of medicine about the practice of double-booked surgeons. Two years ago, The Seattle Times detailed as part of its “Quantity of Care” series how some brain and spine surgeons at the Swedish Neuroscience Institute in Seattle were regularly running two operating rooms at the same time and patients had been unaware. In the wake of that article, Swedish largely banned surgeons from double-booking their cases. But many other hospitals around the country, including the University of Washington and Virginia Mason in Seattle, still largely allow it. While the researchers said most previous studies have found no increased risk of complications from overlapping cases, they said those past examinations had a variety of limitations. In the latest, the researchers examined more than 66,000 surgery patients from more than 200 surgeons over an eight-year period. The data was compiled by a nonprofit academic consortium, the Multicenter Perioperative Outcomes Group (MPOG), which includes the University of Washington. Dr. Eric Sun, one of the authors, said the researchers focused on MPOG institutions that had sufficient data for the analysis, but since the data was anonymized, the researchers weren’t sure which of the institutions were included in the analysis. The study looked at cases in which a surgery overlapped with another case for at least an hour — and surgeries shorter than an hour in which the entire procedure occurred at the same time as another case. Researchers looked at deaths or complications that manifested during the hospital stay, such as surgical-site infections, stroke and pneumonia, according to the report. When analyzing the group as a whole and adjusting for patient characteristics, the researchers found deaths in 1.9 percent for overlapping cases and 1.6 percent in those that didn’t overlap. That difference was not statistically significant, the researchers said. Similarly, the researchers found a complication rate of 12.8 percent on overlapping cases versus 11.8 percent on nonoverlapping cases, which was also not statistically significant. But when looking at high-risk patients — defined by factors such as age, health and comorbidities — the researchers did see statistically significant disparities: deaths in 5.8 percent of overlapping cases versus 4.7 percent of nonoverlapping cases, and complications in 29.2 percent versus 27 percent of cases. “Overall, the study findings suggest that overlapping surgery is likely to be a safe practice for most patients, but the exploratory analyses do suggest potential areas for concern and further investigation,” the researchers wrote. Michelle Mello, a professor of law and health policy at Stanford who was one of the study’s authors, said in an interview that there can be valid reasons for running multiple operating rooms, such as getting patients in for surgery quicker and providing training opportunities for less-experienced surgeons. But she said the research suggests that institutions need to be reviewing their policies on the practice, especially when it comes to the more vulnerable subgroups and specific procedures such as a coronary artery bypass graft. “To me, the differences there are big enough to be a real concern,” Mello said. The study also found a significant difference in surgery times between the two groups, with overlapping cases about 30 minutes longer than ones that didn’t overlap. Mello said she worries about that issue because of increased risks the patient may face the longer they are under anesthesia. She also said some patients may be getting higher bills as a result of the prolonged surgery time. Researchers said the study still had some limitations, such as the possibility that surgeons may be choosing to conduct overlapping surgeries on lower-risk patients or, perhaps in the event of emergencies, overlaps may occur in higher-risk ones. The study also didn’t examine complications after the patient was discharged. Swedish’s policy on overlapping surgery now requires surgeons to be present for the “substantial majority” of each case, allowing a second case to begin only when the first case is coming to an end and the surgical site is being closed. 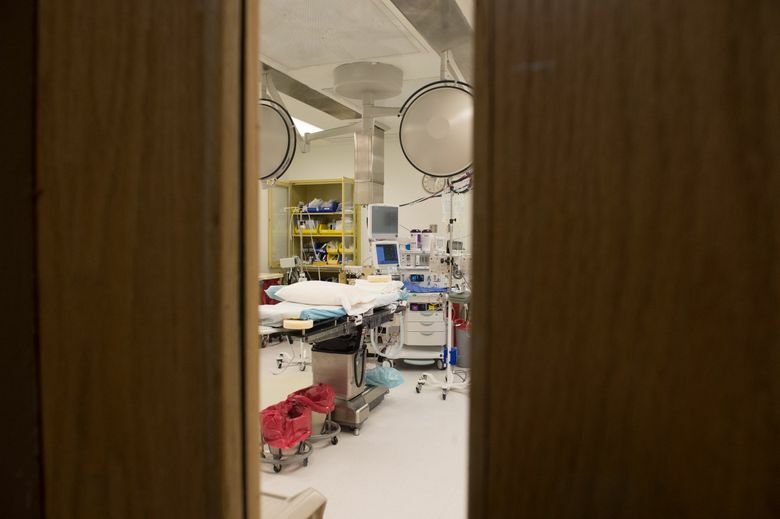 At the UW or Virginia Mason, officials have continued to operate under less-stringent policies that require surgeons to be present for the “critical” portions of each case. That standard is usually left up to the discretion of doctors. Mello said she gets the sense that a lot of patients around the country are not aware of the practice. She said the study raises the question of whether patients should be informed. Along with the changes at Swedish in 2017, the UW and Virginia Mason updated the paperwork they provide to patients. The possibility of a double-booked surgery is now disclosed in those documents. NOTE: This story has been updated to explain that University of Washington data may not have been ultimately included in the study.